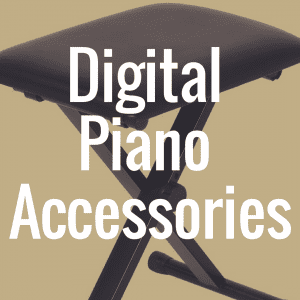 Yamaha is one of the strongest and most established music companies on the market, and its strength and prowess really do shine when it comes to digital pianos. There aren’t too many stereotypes concerning Yamaha products, only that they produce great machines. Because of this they shouldn’t feel pressured to overstretch themselves in creating a crowd-pleasing product, but rather strive to provide an all-around selection for musicians of all circumstances. The Yamaha NP-31 digital piano is certainly a product of that effort. It’s part of the Yamaha ‘Piaggero’ series, which is one of Yamaha’s many lines. Piaggero is simply a mash of ‘piano’ and ‘leggero’ – Italian for ‘light’ – and a perfect combination of Yamaha’s stereo grand piano style and lightweight portability, which is its running theme. The NP-31 even has a mini version of itself, the Yamaha NP-11. 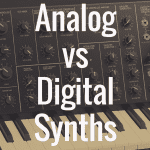 Because of the attention paid to these two characteristics, it’s understandable that other areas of this digital piano may not be as developed. With the NP-31 this can sometimes become painfully evident. However, it all depends on the direct desires of the individual making the purchase. Some people may look at the portability and functionality of the NP-31 and immediately fall in love. Others may walk away disappointed, expecting to find more. What can’t be debated is that it’s a dependable machine that can perform any of the basic tasks needed from a piano player. And now that you’ve already seen us discuss the P155 and the Yamaha CP-33, let’s dive into the specs and features of the Yamaha NP-31 digital piano! 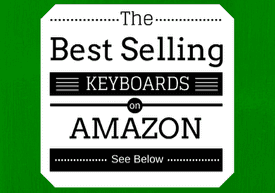 Below, compare the affordable Yamaha NP-31 to the best pianos in its class based on weight, price, and even customer reviews from Amazon.com. 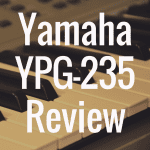 Please note: We have recently published our review of the Yamaha NP-32, which is the successor to the NP-31. Let’s focus first on this Piaggero’s strengths. The NP-31 is remarkably light, weighing in at an outstanding 12 ½ pounds. For anyone who’s a traveling musician dealing with heavy piano ensembles, this is truly a welcome sight. Some digital pianos, for all their greatness, can be anywhere from 25 to even 50 pounds. At 12 ½ pounds, the NP-31 can be slung under your arm and carried for great distances. A musician friend of mine bought it for this exact purpose, as he needed a piano he could carry 6 blocks regularly to perform. The NP-31 is also one of the few digital pianos I know that has fully functional independent battery capability. This Piaggero needs no electrical outlet, and can maintain power for six hours on just six AA batteries. Its official website description lightheartedly notes that you can “perform Christmas piano music on the North Pole without a generator.” While I’m sure I won’t be traveling to the North Pole anytime soon, I’m sure the ability to perform without any AC adapters or cords can come in handy at some point. However, this option allows Yamaha to get a little greedy, so if you actually want a power adapter you’ll have to buy it separately. The piano comes with 76 keys, with its mini-version, the NP-11, coming with 61 keys. 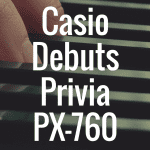 This is a step back from most full-sized digital pianos that have 88, but if you’re a beginner or you simply want to practice there’s a chance you didn’t need 88 keys to begin with. There is no graded hammer action, and the keys aren’t ‘weighted’ per se. The keys have a touch response of varied resistance, which means they aren’t going to be like your toy keyboard, with marshmallow style pop-up keys, but they also won’t replicate key action of a grand piano. The keys are graded, however, so whatever resistance you do feel will be scaled along the length of the piano from bass to treble. The 76 keys are accompanied by 32-note polyphony. 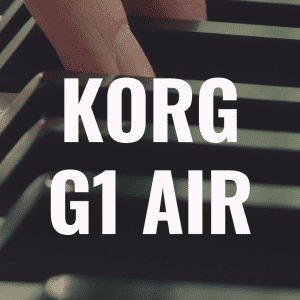 This is a major step down from most digital pianos, which have 40, 60, and even up to 128-note polyphony. But let’s not knock the NP-31 for this, and assume it isn’t striving to be a Privia, or even a Yamaha P-95. The NP-31 uses Yamaha’s Advanced Wave Memory Stereo Sampling technology – or simply AWM – which is the company’s proprietary method of storing and relaying samples. It’s the first generation of this technology, as other models have AWM2, so there may be a little left to be desired in terms of the overall piano sound. I noticed in playing this model there was quite a bit of annoying clicking going on when the pieces became more advanced or flurried, so I’m not sure whether this has to do with the technology or the manufacturing of the keys. This digital piano has a built-in stereo system, with two 12 by 6cm speakers. Truthfully, when playing this piano the speaker system wasn’t impressive at all, but I found it performed much better in addition with other equipment. With the addition of a keyboard amplifier you really begin to hear the quality of the piano tones, something that also becomes evident when using headphones. 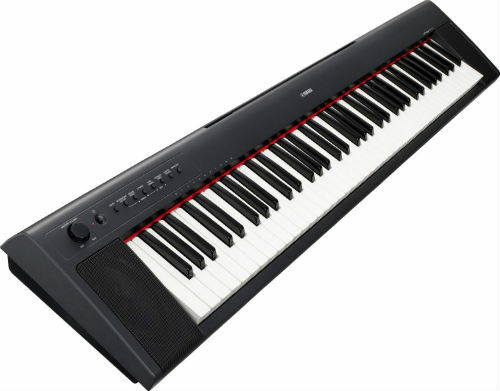 However, this can be a bit of a turn-off, as keyboard amps can go for about $150, and when you add that to the retail and bargain prices of the NP-31 you would almost be more suited simply buying a higher end digital piano. The NP-31 has USB/MIDI input and output capability, so it works well as a MIDI controller to connect to other instruments or computers. However, I have found there is some confusion regarding the complete capability of its MIDI functions, namely being able to connect with certain MIDI interfaces, so it’s important to check with the Yamaha MIDI reference to see what data and commands the NP-31 can receive or not receive. The piano comes with 4 different types of reverb, with dual and layering functions, but no chorus effect. A lesser known feature of the piano is its ECO energy saving mode, which automatically shuts down the machine after 30 minutes of being idle. Many of the people I know who have experienced the NP-31 seem to have either a love or hate relationship with it. Either they’re blown away by its portability and lightweight effectiveness, or they hate it for all the things it doesn’t provide. However its affordability is a true bright spot. You can easily find the Yamaha NP31 for $300 or less, and for that amount of money you’ll be getting a pretty decent digital piano. Still on the fence about the Yamaha NP31? Then let the great Jamie Cullum (known for songs like “Wheels” and “Everything You Didn’t Do”) talk about the many features of this digital piano. Take it away, Jamie. 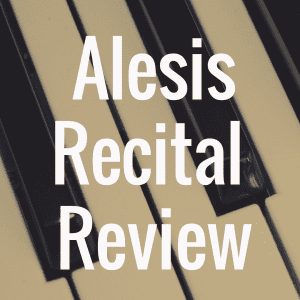 And for more information and analysis on pianos, please visit our digital piano review homepage. And lastly, please follow us on Facebook and Twitter!